As the credits roll on the new Teenage Mutant Ninja Turtles film, the sequel to the 2014 Jonathan Liebsman directed “live-action” feature, the familiar strains of the theme song to the 1987 animated series fill the cinema. The song has been given an update: the “pop punk” group singing it is uncredited, but it’s a fitting close to a film that shares a great deal with that wildly popular cartoon series. Much like the animated series, Teenage Mutant Ninja Turtles: Out of the Shadows is all about embracing the rather outrageous premise – mutant turtles who live in the sewer, eat pizza and are trained as ninjas – and running with it. It’s immediate predecessor – the second attempt at a reboot, following three live action films and an animated feature – was a somewhat serious affair in some respects, despite the inherent goofiness and attempts to inject humour at times, but Out Of The Shadows drops that film’s occasional dour tone and leans into the more fun side. And the filmmakers lean in hard. Whilst some elements of the film, such as the transformation of Bebop and Rocksteady into an anthropomorphised rhino and warthog, are explained to some degree, other parts of the plot, such as the origin of Krang, are left up to your own imagination, and are all the better for it. Even the mutation of Bebop and Rocksteady is done with relative narrative economy: Krang gives Shredder some “ooze”, Shredder gives it to a doctor to “synthesise” and then they use it on two escaped convicts. The doctor, played bumblingly and very broadly by Tyler Perry, claims that we all have a latent animal inside us and this ooze brings it out. Little about that process and the words used actually makes a great deal of sense and none of it contains too much in the way of detail, but it’s just enough to keep the story barrelling along at some pace without getting bogged down in needless backstory and exposition. It’s somewhat refreshing when one considers how often big budget “franchise movies” – the Transformers sequels being prime examples – get swamped by explaining everything so microscopically that all the details just end up feeling redundant to the story. The script does occasionally have moments of rather daft exposition dumping, but thankfully they are more about moving the plot forward than providing unnecessary details. Sadly the script – Josh Applebaum and Andre Nemec have both returned after working on the first film – is somewhat lacking in laughs, despite a number of lines that are clearly intended to illicit them. The four turtles are thick and fast with the one liners, but none of them are actually funny, so their chatter often gets a tad tiresome. The supporting human cast don’t offer a great deal either, with Megan Fox as April O’Neil and Arrow’s Stephen Amell as Casey Jones being given little to actually do and frequently feel like they have been added merely to be looked at rather than listened to or engaged with. There’s a rather obnoxious sequence in which April O’Neil dresses as a schoolgirl to hack someone’s tablet early in the film and it feels almost like a studio mandated scene, following on from so many similarly objectionable sequences in Bay-produced or directed features. Thankfully Will Arnett is given more to do here than he was in the first film, and a few moments of physical comedy from Arnett go a long way. A simple sequence of Arnett attempting to climb on a wheelie chair was probably the film’s funniest moment. Where Out of the Shadows is generally at its best is in the fun and entertaining action that occupies a significant portion of the film’s nearly two hour runtime; there are a few moments in which the film drags but it’s mostly briskly paced. An early sequence in which Shredder is broken out of a police transport vehicle by an army of ninjas, whilst the Turtles attempt to stop them, is well executed, spatially coherent and reasonably well edited. It’s a far cry from some of the near incomprehensible action in the first film, that also suffered from far less well-integrated CGI. As the film escalates to a world saving climax – rather disappointingly hinging on another instance of an alien spacecraft hovering over a city and a load of blue light – director Dave Green leans heavily on the VFX teams at his disposal and there are lengthy sequences in which there is almost certainly nothing “real” on screen. But rather than getting too carried away, Green keeps the action still relatively coherent and in these scenes, and throughout the film, the camera moves in a mostly fluid manner and without too many egregiously rapid cuts. This is particularly crucial when the film is seen in 3D, as there are no moments in which the movement jars or parallaxes shift in too rapid a way that one can’t keep up. Out Of The Shadows is a reasonably entertaining, CGI-heavy action picture for the most part, that embraces silliness and fun instead of attempting to somehow ground proceedings in the “real world”. 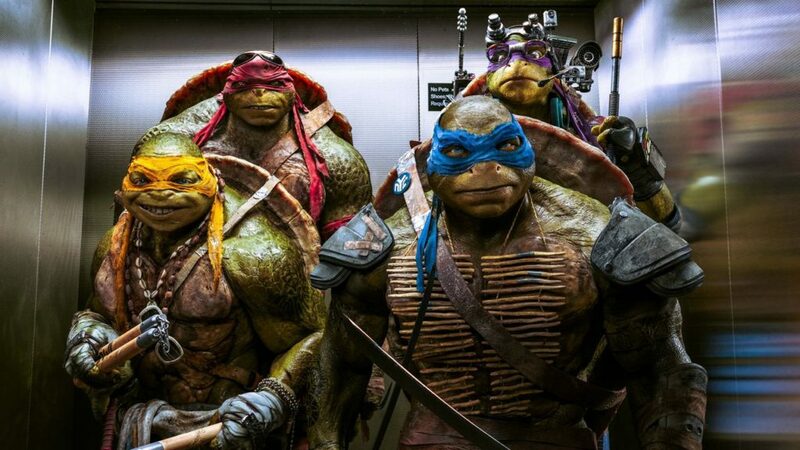 A snappier and funnier script would have helped matters a great deal though and some sort of attempt to make the film about something – subplots about the Turtles working as a team and coming “out of the shadows” are half-baked at best – or engaging beyond an entirely surface level would have made for a more well-rounded film. 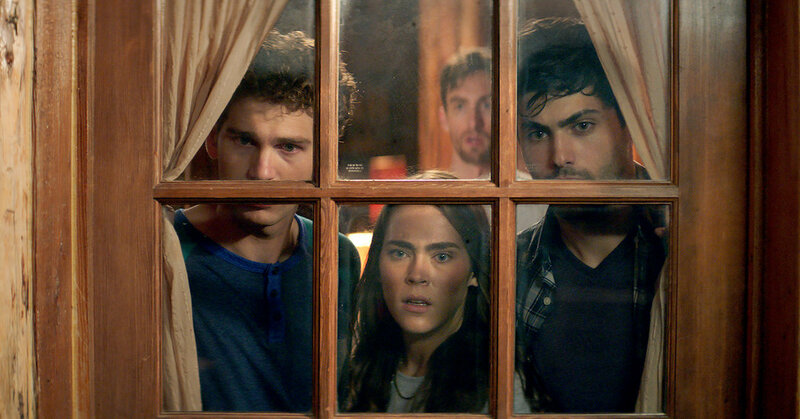 But, despite this, Out Of The Shadows is still a light-hearted and reasonably enjoyable picture.